Saskatoon: Office of the Treaty Commissioner, 1998. 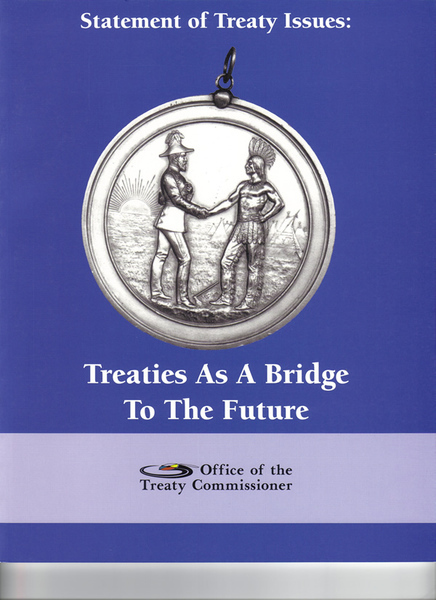 The 1998 Report provides an overview of the preliminary discussions between representatives of the Federation of Saskatchewan Indian Nations (FSIN) and Canada, (with the Province as observer). It recounts the views and perspectives that the parties brought to the exploratory Treaty Table during meetings in 1997-1998. Quotes from the oral historians of Treaty and the Treaty relationship are included courtesy of many Saskatchewan Elders who contributed their knowledge and understandings to the meeting process.